A formal bail application against three South Africans and six foreign nationals will continue in the Klerksdorp Magistrate’s Court in the North West on Thursday morning. Louis Fouche and his eight accomplices were arrested and charged for being in possession of game products without a permit. The suspects were allegedly found with lion meat and bones, a tiger’s skin, knives and other equipment. Louis Fouche is alleged to have rented the farm were the lion were allegedly slaughtered at Mareetsane village in Vryburg. The suspects were arrested by the Klerksdorp Tactical Response Team Police Unit in conjunction with officials from the Nature Conservation. 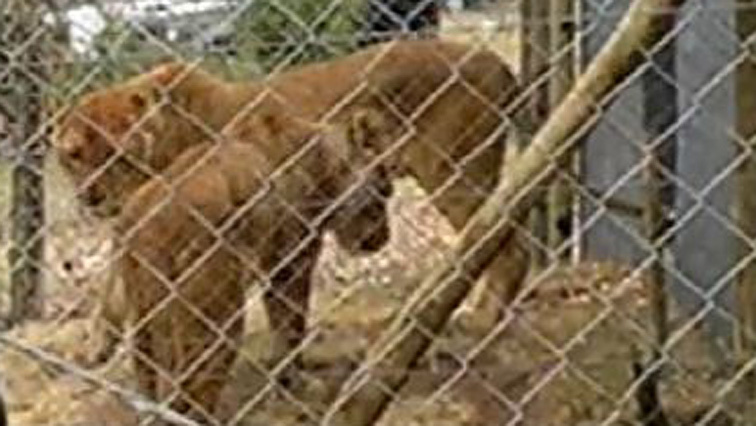 The accused allegedly took the team to another farm in Klerksdorp where the lions were slaughtered and unskinned. A lion skin was and equipment believed to have been used to cut the bones were found dumped in a bush. The post Suspects arrested over illegal game products back in court appeared first on SABC News – Breaking news, special reports, world, business, sport coverage of all South African current events. Africa's news leader..